Researchers have developed innovative business models underlying the successful launch of space-related start-up technology companies in Costa Rica. A fascinating article describes how the company DIT (design, innovation, technology) Space identified key market sectors that could benefit from spaced-based technology and how implementation of the technology could benefit the company and create synergies leading to the development of further space technology. 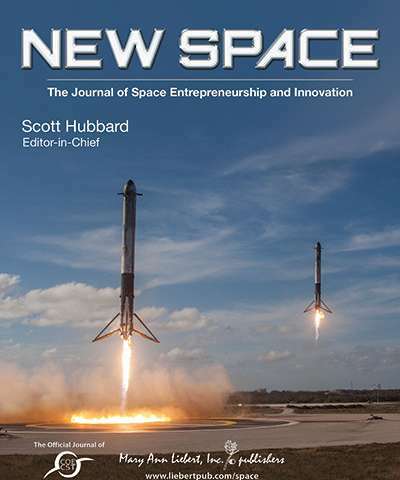 The article is published in New Space: The Journal of Space Entrepreneurship and Innovation. Entitled "Developing Innovative Business Models for Small Space Programs Spin-Outs, 'Dit Space' Start-Up Experience in Costa Rica," the article is coauthored by Mr. Luis Monge, Universidad Nacional Costa Rica and Mr. Roberto Aguilar, Central American Association of Aeronautics and Space (ACAE). The authors discuss the growth of DIT SPACE, which emerged as a spin-out of the scientific research program developed by the Central American Association for Aeronautics and Space, a nonprofit organization that promotes and develops Central American talent in the aerospace field. The goal of DIT Space is to commercialize satellite images, creating competitive advantages based on technology transfer and the use of existing technology. "While space entrepreneurship has been led mostly by individuals and companies in the U.S., it is very gratifying to see the interest expand worldwide," says Scott Hubbard, Editor-in-Chief of New Space.